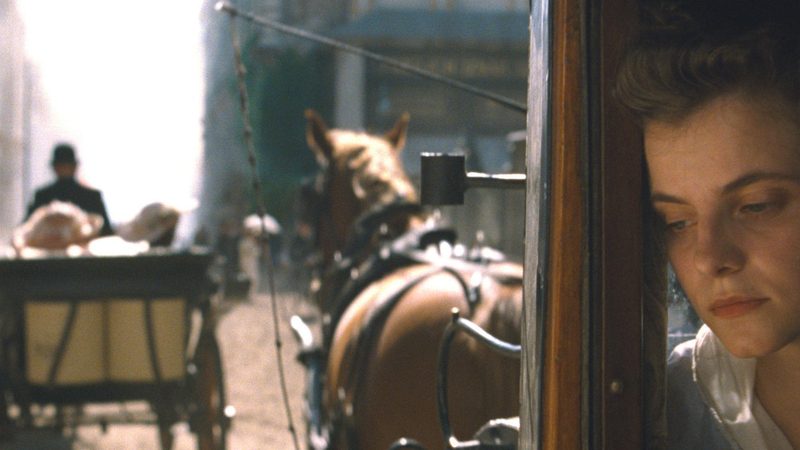 Hungarian director László Nemes’ long-awaited follow-up to his Oscar-winning Son of Saul, Sunset thrusts us into a Mitteleuropean heart of darkness and a fever dream which ultimately lacks substance. “I was looking for a job and then I found a job, and heaven knows I’m miserable now,” sang Morrissey. And the same could be said of Irisz Leiter (Juli Jakab), the first-person protagonist of Sunset, riffing on F.W. Murnau’s 1927 silent masterpiece. Irisz arrives in Budapest from Trieste looking for work in a posh hat shop which was once owned by her now-deceased parents. The new owner, Oszkár Brill (Vlad Ivanov), is less than keen to have her onboard, but will ultimately relent – to Irisz’s immediate dissatisfaction. Irisz is looking for her long-lost brother. She’ll find him but again the results will not be to her liking. In fact, there’s something almost Kafkian in Irisz’s dogged pursuit of things she obviously doesn’t want to catch. Mátyás Erdély’s cinematography is as in-your-face (or in-her-face) as it was in Son of Saul. Similarly, we get to see a lot of the back of Irisz’s neck. But in Son of Saul, the style suited the subject matter, as did the performance. Saul was a hollowed-out individual who had shrunken his visual field to the bare minimum as a survival tactic in a death camp. Here, Jakab gives a mono-expression performance to a one-dimensional character who seems nothing more than an excuse to take the camera somewhere else. On a positive note, Budapest looks amazing and Nemes gives us a 365 degree view, with crowds of people, trams and coaches. There is a sense of ferment, of life brimming over, of history happening, violently and darkly, perhaps just out of sight or in the blur of the shallow focus. As Irisz’s bootless quests continue, involving her in various adventures: an uprising of anarchists; an attack from coachman Gáspár (Levente Molnár). She witnesses a half-mad countess being brutalised by a sadistic toff from Vienna. Hot air balloons are launched. A huge tent is being put up. And then there’s the hat shop again where Irisz ‘works’. From the Millenarian ambitions of world revolution to millenary ambitions of making nice hats, the shop gives Irisz a close brush with royalty, but even here something Eyes Wide Shut-ish is going on, with the hat shop perhaps being a front for high-end prostitution (something Irisz immediately wants to investigate by getting chosen to be the girl that ‘delivers the hat’). With a filmmaker as intelligent and controlled as Nemes, Sunset has the assurance that everything has a place and the confusion is intended. But even this has a paradoxical effect. The anarchy is performed and organised around the flowing camera but, in the onrush of experience, there’s very little emotional engagement other than a creeping dread that danger is always to be about to breakthrough the frankly flimsy veneer of civilisation. A final baffling shot suggests everything was all some kind of allegory, but by this point this reviewer needed a pencil and a piece of paper to work everything out. There’s a possibility that Sunset might turn out to be some kind of masterpiece after an appropriate period of mulling and unpacking. But then again, perhaps not.